As spring heats up we’re all feeling the urge to get out and fire up the grill. 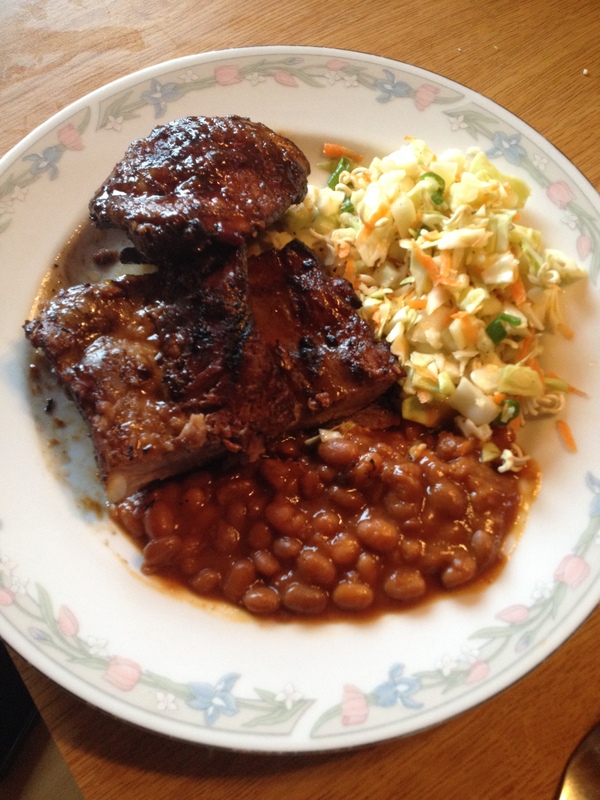 And what better to accompany whatever you may be throwing on said grill then coleslaw! The key to this easy recipe are the noodles! Get yourself a pack of those inexpensive Japanese ramen noodles – crumble the noodles right into the salad before serving, and use the flavour pack in the dressing. Just genius! Wishing you nice weather, stiff cocktails and tasty coleslaw to kick off BBQ season! Add shredded cabbage and green onion into serving bowl. Make dressing: add ramen seasoning package into oil and vinegar. 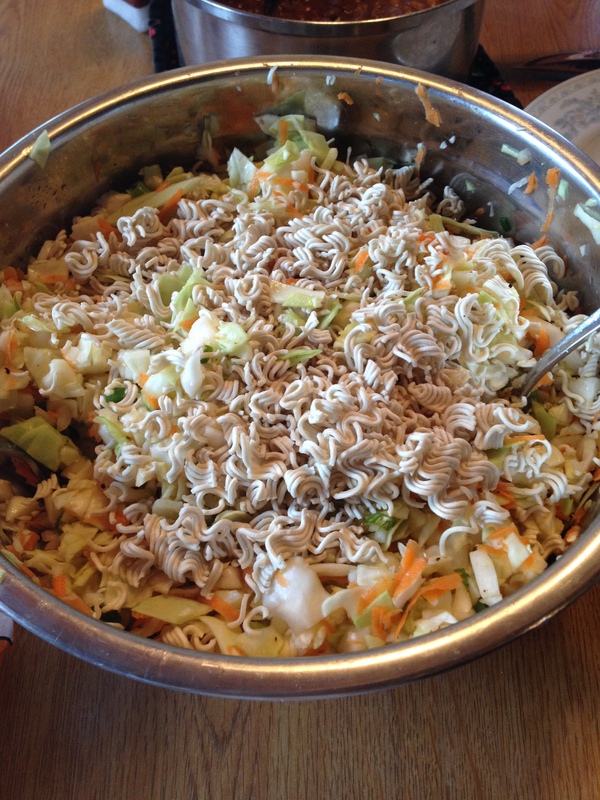 Right before serving, break noodles into bite-sized pieces, add noodles, seeds and nuts to salad. Add dressing and toss well.